Things do not always go the way we plan in life—especially when it comes to finances. If you are deep in debt and can see no way out, filing for bankruptcy may be the best course of action. Chapter 7 and chapter 13 are the most common types of bankruptcy. Bankruptcy is a legal tool designed to protect you from your creditors. Once you have filed for Columbus Ohio bankruptcy, they will have to stop sending you threatening letters, harassing phone calls, and intimidating emails. To make the smoothest transition possible to your post-debt life, you should retain the services of a Columbus bankruptcy attorney. If you are worried about repossession? This may not be a problem. 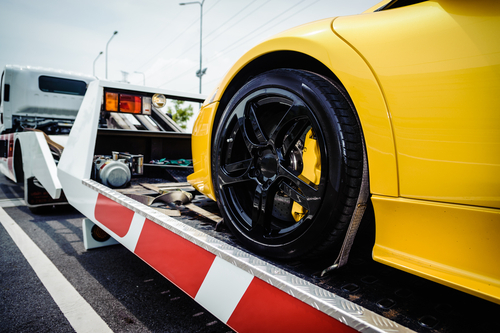 In a chapter 7 bankruptcy you may be able to stop repossession and keep your car. If you meet certain criteria, your lawyer will be able to stop any repossession process that has been set in motion. They will deal directly with any creditor who has initiated such proceedings. Indeed, your lawyer will deal with all such creditors who continue to harass and threaten you after the paperwork has been filed. Chapter 7 also discharges all of your eligible unsecured debt and gives you a fresh start in your financial life. You also have the option of filing Chapter 13. This is a proceeding that allows you to set up a repayment plan with your creditors. If you have a job that brings in a reliable stream of income, this may be the better option. Simply put, Chapter 13 gives you more time to pay off your debts. It also gives you the means to stop the repossession of your car. An automatic stay will be granted, and your creditors will not be allowed to repossess any of your things during and after the time you have filed. Some creditors are more aggressive than others. The company that financed your car may request permission from the bankruptcy court to have the stay lifted. They may argue in their motion that their interests in the vehicle are not being protected because you are not making payments. This is where an experienced Columbus bankruptcy lawyer can help defend your rights. Bankruptcy lawyers in Ohio have the expertise and experience to beat back this kind of legal action. The lawyer you hire can present compelling evidence that shows your previous financial situation precluded you from making such payments, but that you are now on track through Chapter 13 to pay what is owed over time. Other evidence can be presented to the court to show the unreasonableness of the creditor’s request.